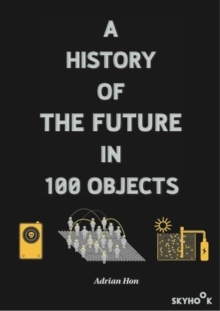 What are the 100 objects, ideas, developments, or events that future historians will use to sum up our century? Smart drugs that change the way we think? A wedding ring between a human and an AI? A society which no longer has work to do? A cure for hate? Adrian Hon's eloquent, playful and informed survey takes its cue from the popular BBC Radio 4 Series A History of the World in 100 Objects, and explores what the future might hold - not just in the fields of technology and science, but also religion, advertising, wars, economics, fashion, education and politics. These hundred essays, hybrids of near fact and outright fiction, gather personal experiences, newspaper stories, official reports and scientific papers in a speculative narrative of how we will live, work and play.